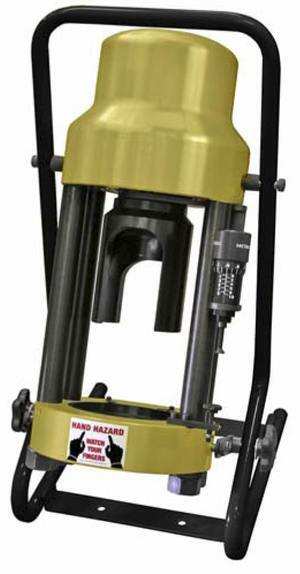 Weighing only 50 lbs, the 60-ton cylinder has the capacity to crimp up to 1 inch six wire hose. The D160 is a truly portable crimper that can be carried to most any location where service is required. The removable pusher and inverted die position make accurate fitting positioning easy. “Micro Site” indicator assures accurate and repeatable crimps. 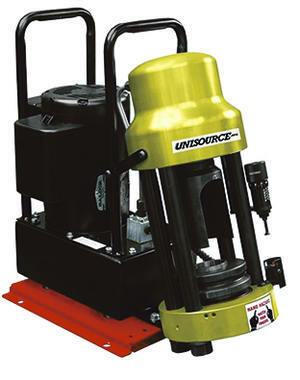 Base mounting holes allow the crimper to be bench or truck bed mounted if required. Choose either the hand or pneumatic 10,000 PSI pump. Crimpers and pumps also available separately. 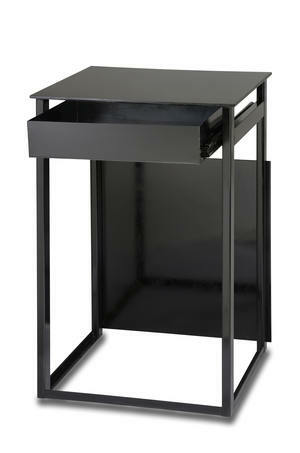 Dies available from 7mm to 39mm are ordered separately. 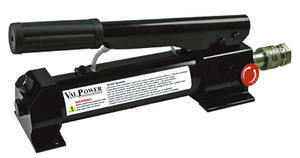 VHP 10,000 Series ValPower® Series Hand Pump. 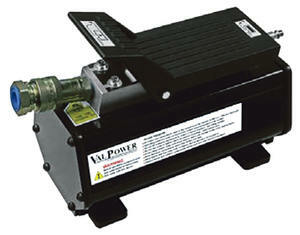 VHP 10,000 Series ValPower® Series Pneumatic Pump. The new D165 Crimper with its more powerful 60 Ton cylinder gives it the ability to crimp up to 1-1/4 inch 4 wire hose and up to 1 inch 6 wire hose with standard dies. The D165 comes packed with features that make it the most productive and most economical crimper, feature for feature, that you can buy. Fully adjustable micrometer style crimp settings to accommodate a wide range of hose and fittings without the need for special shims and spacers. An economy horizontal crimper with a 125mm (4.9 inch) throat opening and the capacity to crimp up to 2 inch 2 wire hose or 1-1/4 inch 6 wire hose. 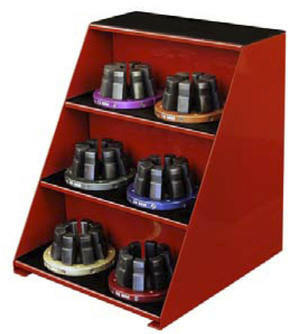 Optional Die Storage Rack keeps dies organized and readily available. Optional magnetic die change tool makes changing dies a quick “no mess” operation. The CC150 is a cost-effective alternative to fully automatic crimping without any sacrifice in range or capacity. Featuring a 120 mm (4.72 in) throat opening, it has the ability to crimp 2 inch 4 wire and 1-1/2 inch 6 wire hose. Magnetic die change tool (included) makes changing dies a quick “no mess” operation. 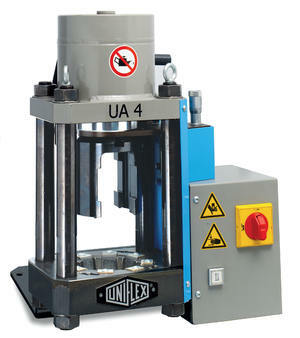 Greaseless vertical crimper with 1-HP pump. The powerful workshop crimper UA4 with its capability to crimp a wide range of hoses, up to 1-1/2 inch 4-wire or 1-1/4 inch SAE R15 or 4 SH (even two piece versions) offers maximum flexibility at a great value. The open, horizontally slideable compression dies spring open to facilitate crimping of short 90 degree fittings with long necks. Thanks to the standard-equipped 110-115V single phase power unit, the UA4 is ready for operation globally. 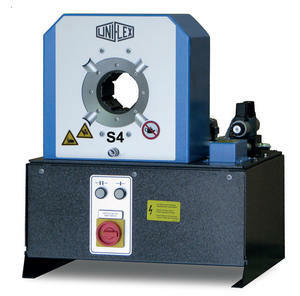 This crimper is also equipped with the lengendard greaseless slide bearing technology. 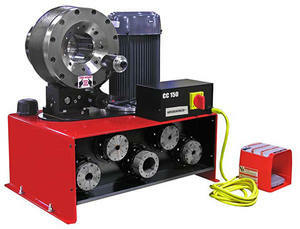 Greaseless production crimper, self-contained unit with 230V 3-phase power. 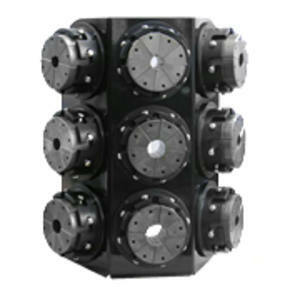 The service crimper features a crimp force of 180-tons and is designed for a crimp range of up to 70mm. 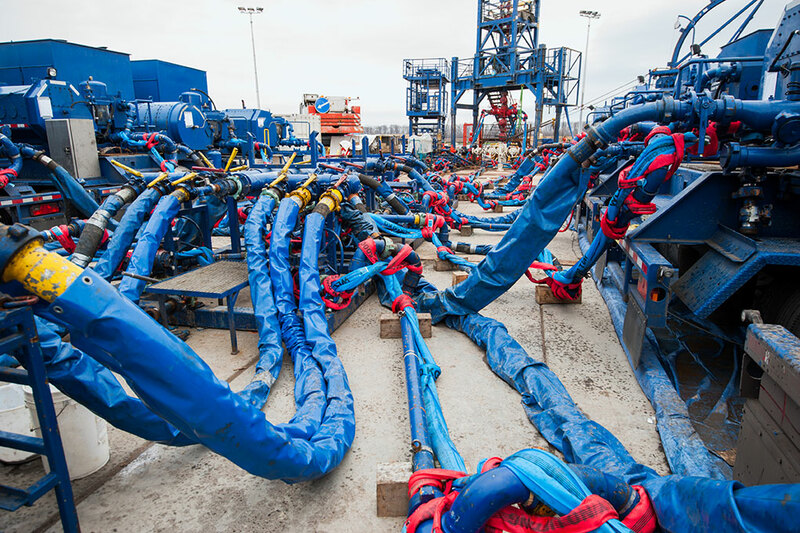 It’s the perfect choice for hydraulic hose assemblies up to 1-1/2 inch and for industrial hose assemblies up to 2 inch. This crimper is also equipped with the legendary greaseless slide bearing technology. 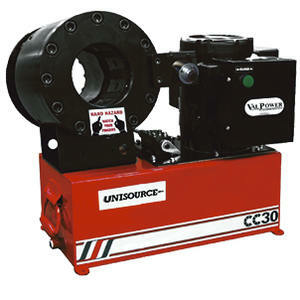 HS300 is a 3 HP hose saw capable of cutting up to 2 inch two-wire hose or up to 1-1/4 inch 6-wire hose. 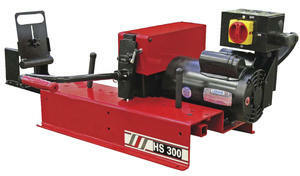 HS500 is a 5 HP hose saw that can cut up to 2 inch two-wire hose or up to 2 inch 6-wire hose. Standard in 230V, 3 phase. Counter keeps track of the number of cuts made and is easily reset to zero. Optional serrated blade or smooth blade. Other options include the Mister Kit which sprays a fine mist of air tool oil on the blade, an adjustable Hose Channel for measuring and supporting the hose, and a Hose Helper to hold the hose in position.